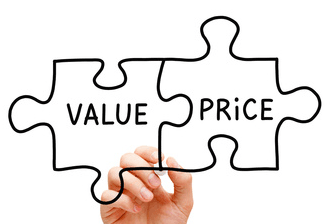 Pricing for Professional Services - Klema Law, P.L. Few attorneys provide the transparency clients need to plan their legal expenses and effectively allocate resources. My goal is to empower you, as the client, to determine how best to utilize my knowledge and services for your benefit, with full knowledge of the costs. And during our engagement, I provide clients with choices at various stages of the relationship which allow them to assess the legal gains made, and reevaluate the expected future benefits to decide whether continued investment in my services is warranted. Finally, I deliver my services in a flexible model, including hourly fee, flat fee, contingency, and equity. Each of types are more fully explained at the bottom of the page. I also offer clients hybrid models of these fee arrangements. I can adjust my fee structure depending on if you engage me for large projects or ongoing business. Need a fast quote for your legal project? Tell me a little about your goals, and I will give you a quote within one business day, guaranteed. In most cases I am flexible in how we can structure payment. Have a document you would like me to see? This form will only accept one file. If you have more than one file to send me, drop them here. Hourly fee services are best suited for contested matters, such as a lawsuit, arbitration, or mediation, and often require this payment structure at least in part. However, certain events during the dispute can be priced on a flat fee basis, such as when a client may have the option to pursue certain motion practice. Depending on the nature of the matter and other non-financial benefits a client can offer, I offer a rate between $150 and $275 per hour. I also offer some services as a flat fee, thus allowing clients to have a firm grasp of their expected costs for any particular legal endeavor. Services that I can offer on a flat fee basis include trademark applications ($150 plus USPTO fees), license agreement drafting and review, (request quote) patentability opinions ($1,500), freedom to operate opinions (request quote), and certain other services for which I can forecast the time required to achieve your legal goals. Sometimes the initial cost of legal services can be shifted to a later time when the benefits are realized. Not all matters can be accepted on a contingency fee basis, but often include plaintiff's lawsuits involving potential damages greater than $20,000. Contingency fees also allow clients to shift the risk of little or no recovery to me. Because of this fact, I may not always be able to accept your case if I feel that it is not sufficiently strong. Percentages for contingency cases range from 25% for settlement prior to suit being filed to 40% if an appeal is necessary. Finally, there is an option for some clients to provide an ownership interest in their business, venture, or intellectual property in exchange for my legal services. Please call me to discuss whether this option is right for you.